The concept for the site re-design is Discovery Starts with You and was created as a collaboration between my design group and the Swedish interactive agency North Kingdom. 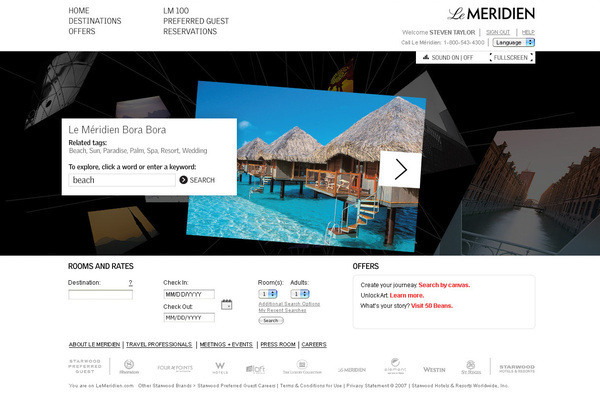 The Web sites homepage is a three dimensional space that allows customers to navigate through the world of Le Meridien by selecting images associated with Le Méridien hotels, LM100 members, brand initiatives, and more. 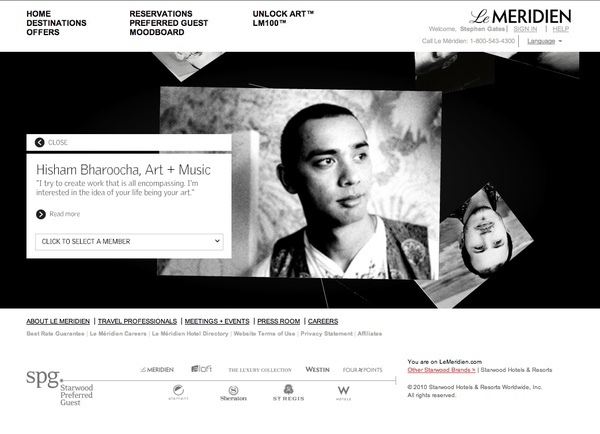 This is combined with an original sound experience, crafted by French composer Henri Scars Struck, which play as customers navigate through LeMeridien.com. 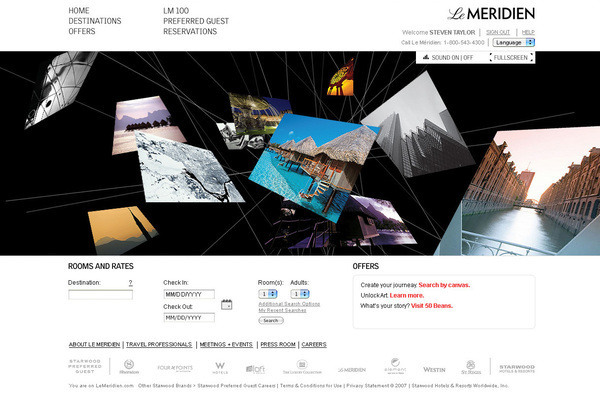 The sound collage is dynamically mixed with background music that changes depending on the time of day.One of the most unique aspects is its Destination Canvas that connects guests personal interests with Le Méridien hotels and destinations. 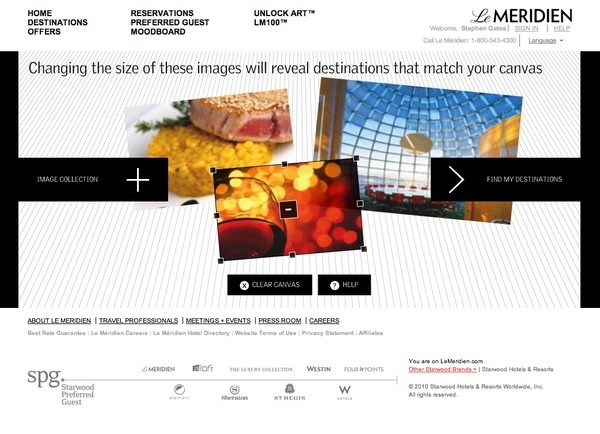 Guests choose images depicting their passion points and they are placed on a white canvas where they can change the size and position to signify the importance of the experience, When it is finished the site provides destination recommendations that reflect the guests passions.